Last week, Kate and her little adventurers headed to Rosebud to checkout the opening day of the Lights by Dreamworks: The Experience. 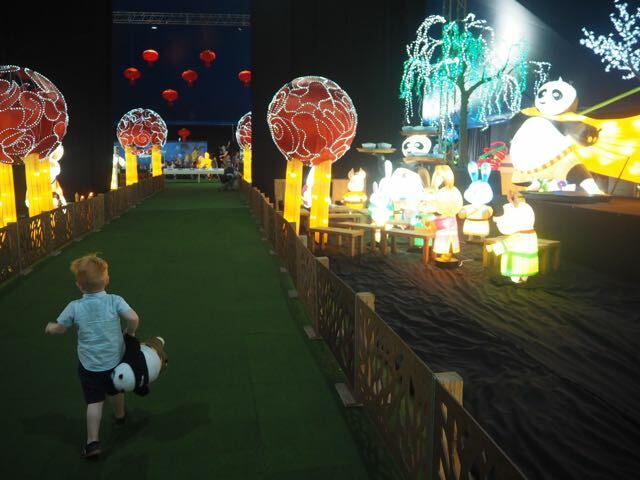 Needless to say they enjoyed looking at the Dreamworks lanterns, taking part in craft activities and meeting Po from Kung Fu Panda! Here's their review and tips. To follow more of Kate's adventures, via her instagram account. 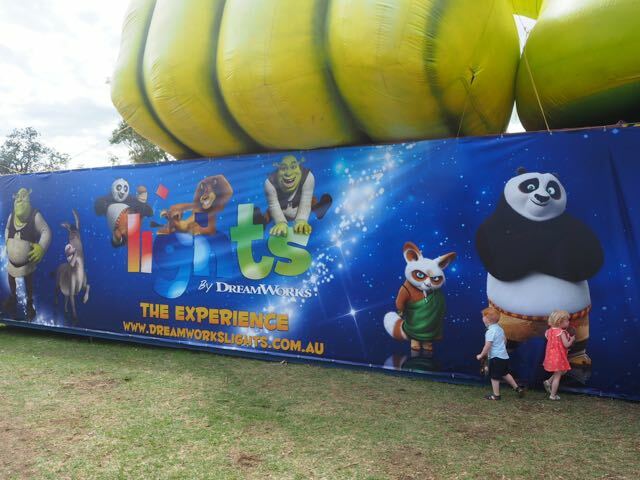 Shrek and Kung Fu Panda have arrived down under for an Australian-first exhibition with some of DreamWorks Animation’s best known characters in a large-scale lantern experience. The Mornington Peninsula will light up in March and April for Lights by DreamWorks; an interactive, walkthrough experience for the whole family. Held under the Big Top on the stunning Rosebud Foreshore, you will definitely have no problems finding it as you couldn't possibly miss the giant Shrek located on the roof! 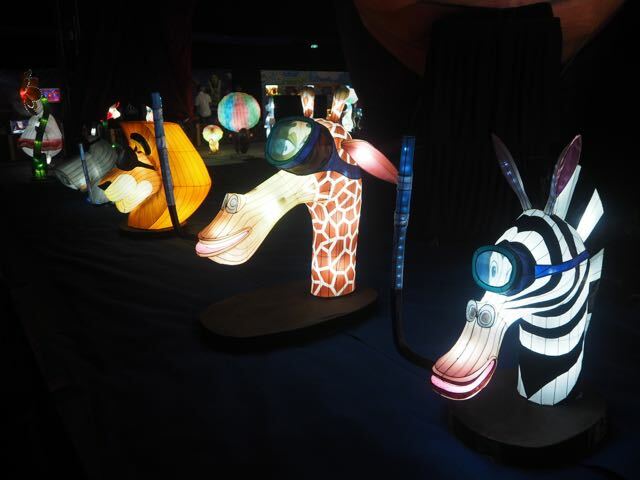 Once inside, the exhibition - based on the traditional Chinese Lantern Festival - is separated into two rooms with over 100 illuminated figures from the Shrek, Kung Fu Panda, How to Train Your Dragon and Madagascar movies. 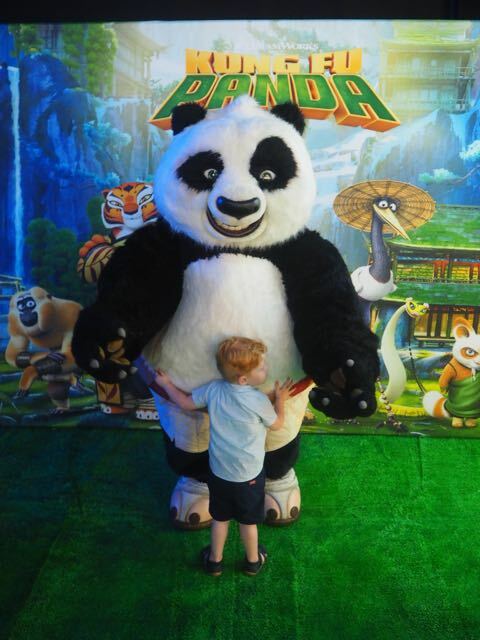 Po from Kung Fu Panda is one of the poppets favourite characters so they absolutely loved walking around the displays spotting him in different scenes from the movies. Their squeals of excitement provided much entertainment for the other patrons! 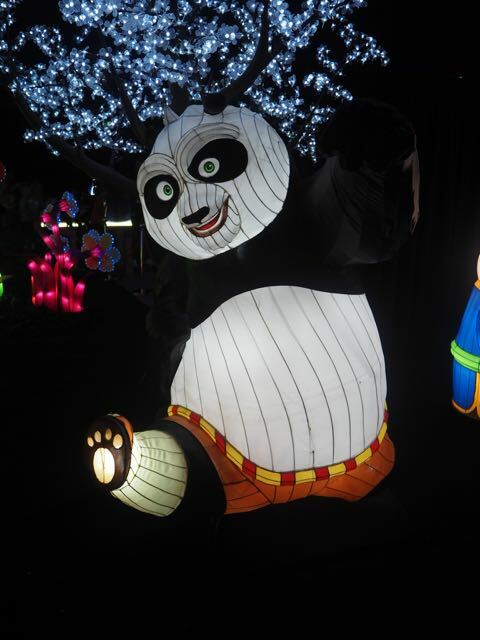 As we found last year when visiting the Dandenong Festival of Lights, each lantern is so wonderfully made, with so much detail that it feels like they have brought the characters to life right in front of you. They are just so magical. You can have a professional photograph (starting at $15) with one of your favourite DreamWorks characters or snap your own memento as the characters wander around the exhibition happily posing for photographs and giving lots of high fives. The characters are quite large in size so be prepared for little ones to be scared, our two pretty much screamed and ran in the opposite direction away from Shrek! Decorate your own Kung Fu hanging lantern, colour in a How To Train Your Dragon viking shield or trace your favourite DreamWorks character. With a fantastic selection of rides that have been carefully chosen to ensure minimal queuing and consistent traffic flow, there is sure to be a ride that will entertain all ages. The poppets loved spinning around in the teacups and having a ride on the colourful train. Bigger kids will enjoy the pirate ship and having a turn on the giant sabre-tooth tiger slide! 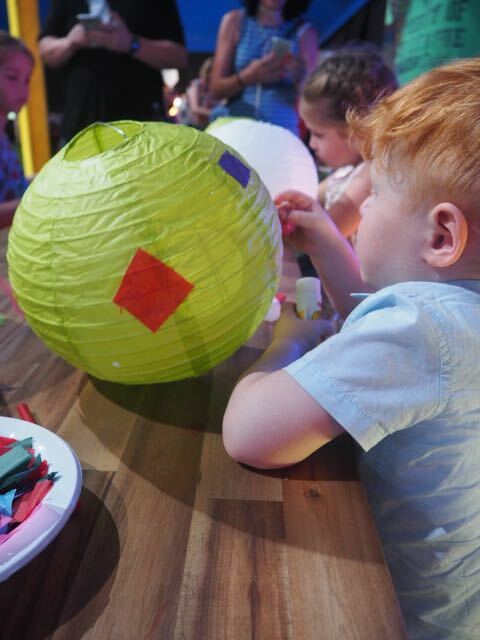 We absolutely loved our afternoon at Lights by DreamWorks – The Experience. It was so special seeing the poppets eyes light up when they saw all the illuminated characters and of course visiting such a beautiful part of Victoria is always an added bonus too..
Pre purchase your tickets online to avoid the queues. There is free, street parking nearby. Each session lasts 2.5 hours so arrive on time to make the most of your allocated session time. All rides + art and craft activities are included in the entry ticket price so make the most of them! There are several food outlets on site, including hot food, drinks, popcorn, tea and coffee. There are also many fantastic local cafes close by in Rosebud, McCrae and Dromana. This event is pram friendly, with ample space to park your pram if necessary. There is also baby change facilities too. To find out more about Lights by Dreamworks: The Experience, head to their website.